I press the Quit button. 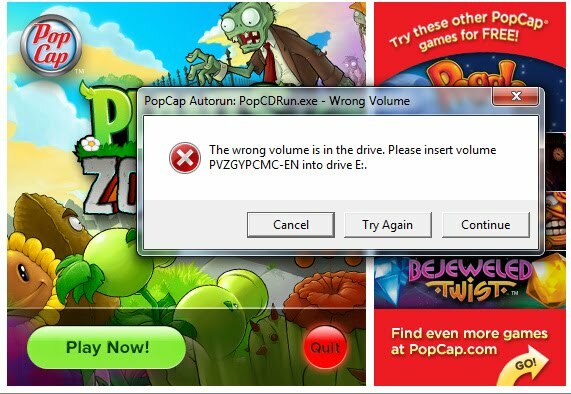 I get an error telling me the wrong disc is in the drive. Why should I need a disc in the drive to quit?